When it comes to renting trade show booths in Seattle, size and experience really does matter. That’s why so many experienced exhibitors turn to ExpoMarketing for custom-designed rental booths that cost far less than owning their own. Founded in 1991, ExpoMarketing pioneered the rental booth concept by giving exhibitors a faster and more cost-effective alternative to designing and building their own booths. We offer many award-winning designs to choose from, and we carry one of the largest booth rental inventories in the U.S. Most important, our Seattle trade show booths provide a custom-built look and feel – without the high cost of ownership. Put it all together and you can have a custom rental both for a fraction of the cost of owning. Trade show exhibits offer a powerful marketing tool for communicating your brand story, showcasing your business, and generating new leads. 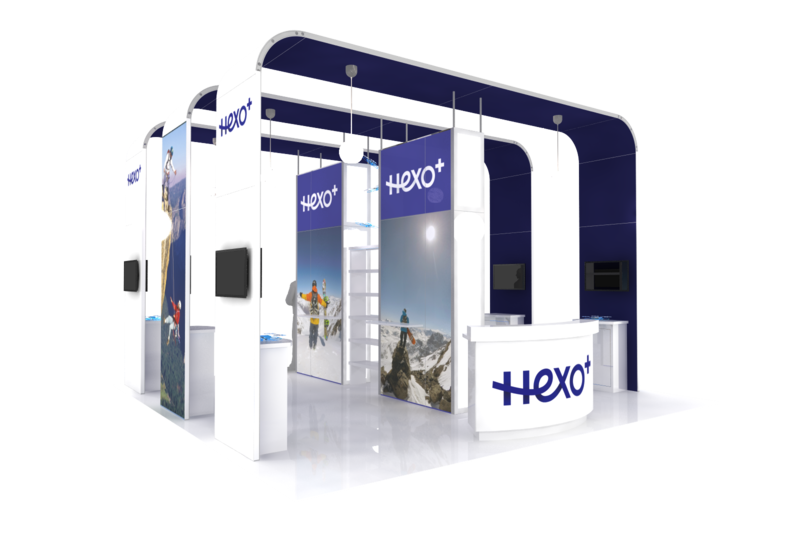 ExpoMarketing offers a variety of booth sizes and styles to choose from, along with virtually limitless customization options to ensure your rental booth displays your products and services in a manner consistent with your brand style. Booth sizes and styles include: Inline exhibits, Island exhibits, Larger Island exhibits, Double deck exhibits, Peninsula exhibits, 10’ x 10’, 10’ x 20’, 20’ x 20’, 20’ x 30’, 20’ x 40’, 30’ x 30’, 30’ x 40’, 40’ x 40’, 40’ x 50’, 50’ x 50’, and more. 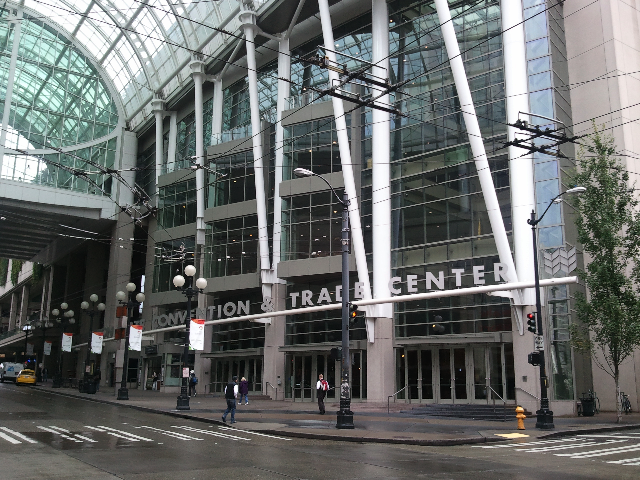 Located in the heart of Seattle, the WSCC has been the Northwest’s premier meetings and events facility for 25 years. Located within walking distance of world-class hotels, restaurants, entertainment and attractions, WSCC offers a complete range of services for exhibitors, event planners and guests. At ExpoMarketing we do more than just rent trade show booths. We also rent everything you need to put on a polished professional exhibit, from furniture and flooring to lighting, A/V equipment and more. Additionally, our expert in-house design team works closely with you to ensure all booth elements come together to deliver the proper branding and messaging for your display.